he authentic SnowWolf Vfeng Squonk BF Kit consists of SnowWolf Vfeng Squonk Mod and SnowWolf Vfeng Squonk RDA. 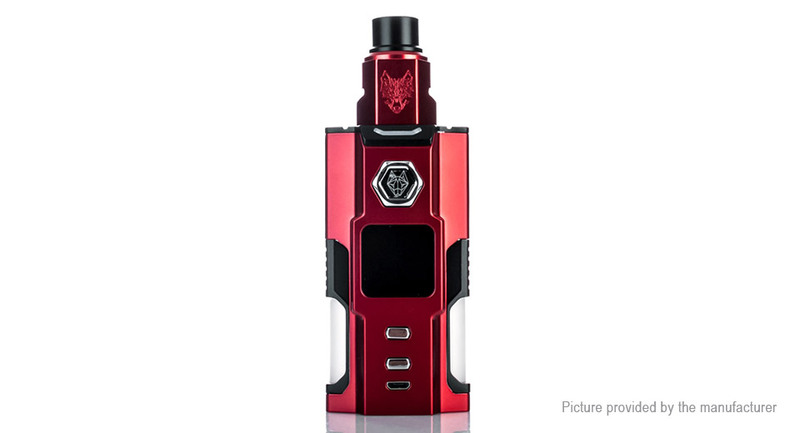 The SnowWolf Vfeng Squonk Box Mod is the first squonk mod from Sigelei Snowwolf. Vfeng Squonk Mod features dual bottom feeder bottle, each for 3ml capacity, totally 6ml; and is compatible with 18650 (need adapter) / 20700 / 21700 batteries (not included), which allows this mod to provide maximum output to 120W. This mod allows you to build as low as 0.05ohm in temperature control mode and 0.1ohm in power mode.